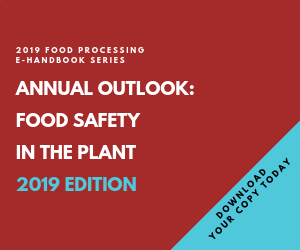 The following brief note comes from Leslie Krasny, a partner in the law firm of Keller & Heckman LLP, and a member of Food Processing's editorial advisory board. Today the Senate Health, Education, Labor and Pensions (HELP) Committee unanimously approved the FDA Food Safety Modernization Act (S 510), which moves the process to the full Senate for consideration. The committee approved a 148-page substitute amendment introduced by Senator Harkin that proposed changes including: protecting dietary supplement companies from duplicative regulations; authorizing grants to states to improve food safety programs; requiring pathogen testing as appropriate; coordinating FDA and USDA authority re organic standards; requiring that produce GAPs consider wildlife issues; and ensuring that new requirements are not burdensome for small farmers or processors. Other issues, including antibiotic resistance controls and country-of-origin labeling, were raised as amendments but subsequently put on hold by sponsors.